When electronics designer Top Hex first came across our own brand range RS PRO, Managing Director Gary Weston was sceptical about using a name he didn’t know. To begin with, he thought the range only offered cheap alternatives and wasn’t sure if it was the right choice for creating the company’s custom-made products. But since then, his outlook has completely changed, and Top Hex has now been using RS PRO for close to a decade. So how did the company move from the view of uncertainty it first had, to the brand affiliation that now makes RS PRO its first choice? Top Hex, a designer and manufacturer of custom electronic controls, was formed in 2002 by Gary and his business partner Simon Pollington. The company’s turnover has grown to £2 million and it has a team of 20 employees based in Huntingdon, Cambridgeshire UK. “We first found out about RS PRO when we began manufacturing, after it was recommended by the team at RS,” explains Gary. “We had reservations about RS PRO to begin with, but gradually we started noticing that the products were being specified a lot more by our engineers. 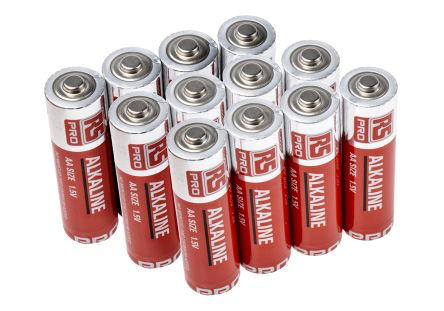 “Capacitors were one of the first products we started buying from RS PRO, and until that point we were purchasing various types from different suppliers and using around 30 to 40 different models. That’s when we looked to consolidate them and just shop at one place, so we bought a few samples from the recognised industry brands and RS PRO. “We tested all the samples with lifespan, high voltage and high temperature tests, and when comparing the price and specification of each product, the RS PRO range of capacitors was a winner. We’ve used the products ever since, and those tests completely changed our scepticism by proving the range represents both good quality and value. Top Hex now buys all of its control panel gear, cables, terminals, isolators and indicators from RS PRO. As well as that, a large number of its PCB commodities such as resistors and transformers are RS PRO, plus many of its production consumables and all of its hand tools. Gary continues: “Initially, my thoughts were that RS PRO was a cheap and cheerful range, but it’s not – it’s high standard and priced very competitively. When comparing it to other makes, it’s definitely not low quality but actually just a step below the established manufacturer brands. 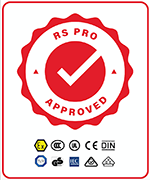 "Initially, my thoughts were that RS PRO was a cheap and cheerful range, but it’s not – it’s high standard and priced very competitively." “With thousands of products available in the RS range, being able to narrow it down to a brand you trust is hugely helpful for saving time and the pricing gives us an advantage over our competitors. Thanks to Top Hex’s positive experience using RS PRO over the years, Gary’s confident that other businesses should try the range. Top Hex creates bespoke circuit boards, box assemblies, control panels and more. Its designs are found in a wide variety of environments, from medical equipment and farming to fitness, retail, and industrial automation. 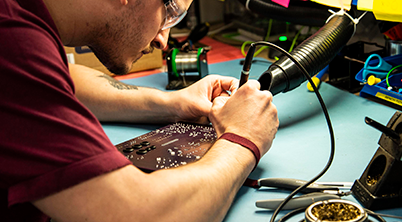 The company has recently reached the huge milestone of creating its 250th controller design and manufactures thousands of products each month.